"The Digital Transformation Playbook" is a guide to competitive and higher-level online marketing for "we were around before social media" businesses out there. 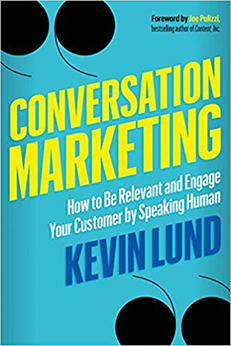 Readers will find platform building and innovation hacking tips for building a comprehensive online marketing strategy. Business books nowadays focus on the shiny new startup, brilliantly creating digital products or services on one hand while handling social media like a breeze with the other. This extreme focus on the media’s darling leaves out the established business. So what are companies that existed before the rise of social media to do? “The Digital Transformation Playbook: Rethink Your Business for the Digital Age” is the guide for the often-neglected businesses that fall into that category. When most business publications mention the winner in the “Blockbuster versus Netflix” battle, they focus exclusively on Netflix. Many do not focus on what Blockbuster could have done to proactively respond back. That’s where David Rogers’ book “The Digital Transformation Playbook” comes in. His book was written for companies that fall into Blockbuster’s category (businesses in the established phase). They can, and should, make use of digital tools to fight back and innovate faster. With a new awareness of the digital environment, these businesses can ride the wave of digital transformation into a new era of long-term innovation. In Rogers’ view, innovation has always been here (think of Thomas Edison and his factory). The difference between now and then is the pace of that innovation brought on by technology. Technology has changed the way business works, innovates and competes. To be more specific, Rogers suggests that business owners who don’t fall into the startup category need to reevaluate their assumptions about platforms, competition, experimentation and their customers. In particular, owners need to expand their assumption about platforms and competitions. The name of the game is not “building an unconquerable platform” like in the old days, but finding ways to address competitors and customers across different industries and channels. This boils down to a 5-point strategy (access, engage, customize, connect, collaborate). The book provides a bouquet of tools to assess. measure and analyze. David Rogers (@David_Rogers) is a speaker, author, and teacher at Columbia Business School. He also happens to be a saxophonist and music composer with music that features an improvisational approach to jazz music. Instead of advising to “just start a Twitter account and see what happens,” the book emphasizes a deeper analysis. It asks business owners to consider their overall online marketing efforts. “The Digital Transformation Playbook” redefines the vague “platform” and helps established businesses figure out a bunch of different ways to use that platform as a competitive advantage – not just a marketing showpiece. 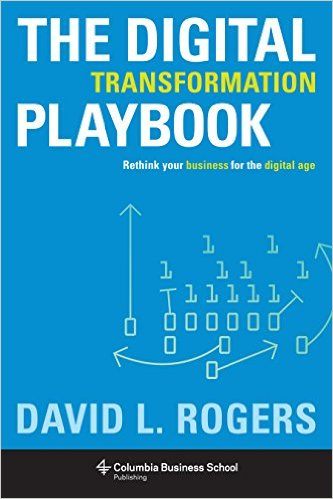 “The Digital Transformation Playbook” has relatively few downsides if you fit into the book’s target market (an established business looking to competitively optimize your online presence). 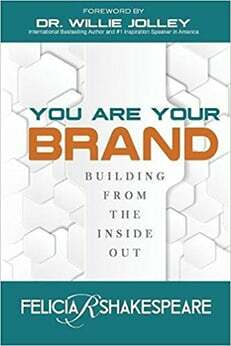 If you don’t fit into that category, some initial parts of the book may seem more attuned to big businesses with a lot of resources. 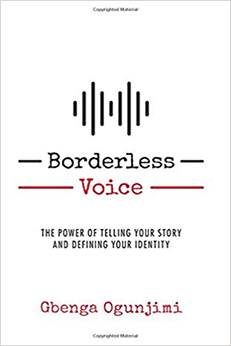 As you work through the book, David Rogers begins to include more concrete examples that can be used for small businesses. This book is absolutely vital if you are looking to do high-level planning about online marketing. “The Digital Transformation Playbook” provides a unique perspective on the vague buzzword known as “platform” and helps business owners learn how to adapt it in top-down strategies. The goal of “The Digital Transformation Playbook” is not to help a new business learn how to get new Twitter followers, but to figure out what that business should have in addition to Twitter that will establish their brand.